Thank you for following your feel to this page! Welcome! 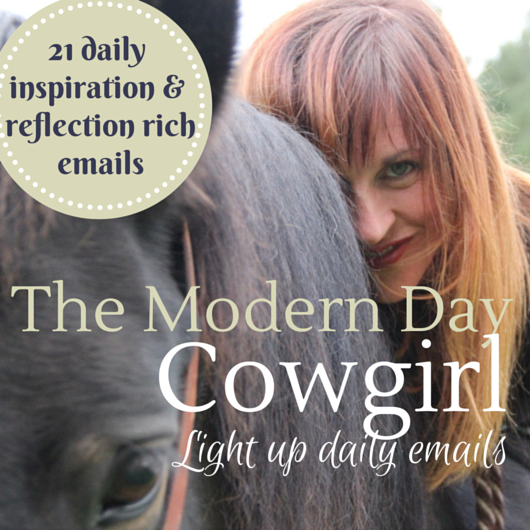 Ten powerful horse-inspired videos starring Diva (my mare) and the herd here at Firefly Farm, each sharing a powerful insight straight from the horse’s mouth. 21 Daily reflection and insight rich emails from Alexa (that would be me). 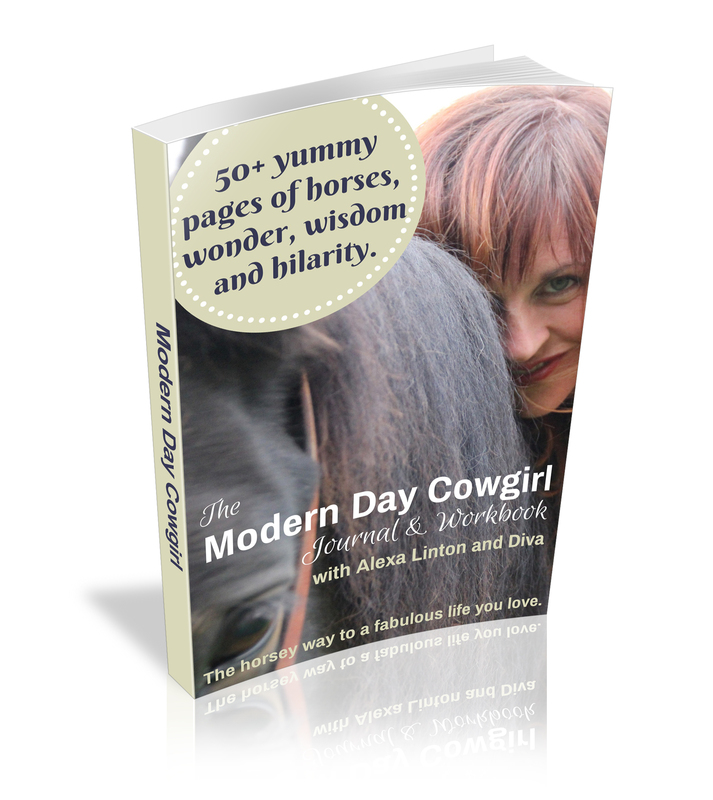 A 60 + page wondrous Workbook & Journal (and yes, it is chock-a-block full of beautiful horses and their stories). 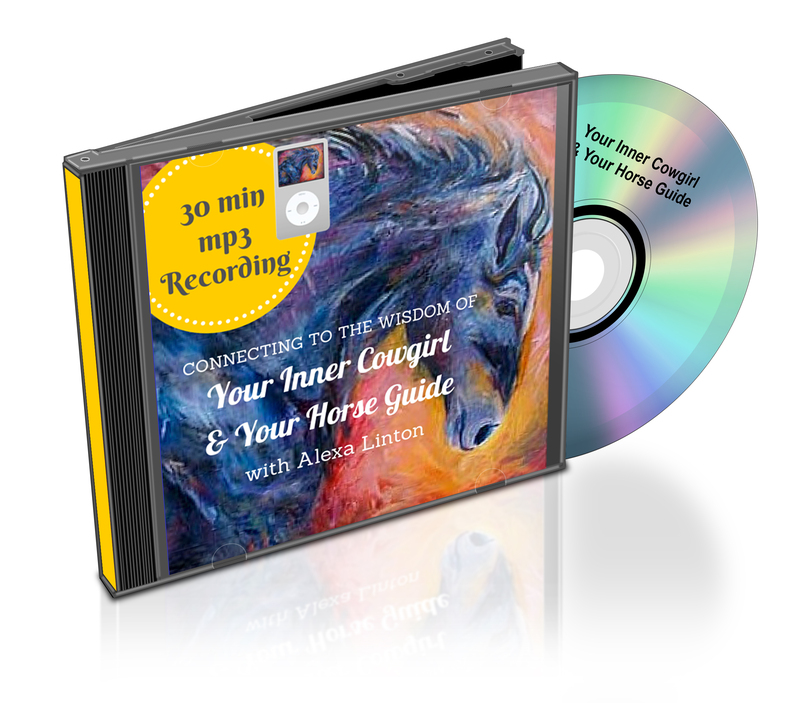 An amazing 30 minute guided journey to meet your unique horse guide and inner cowgirl and activate their guidance in your life. 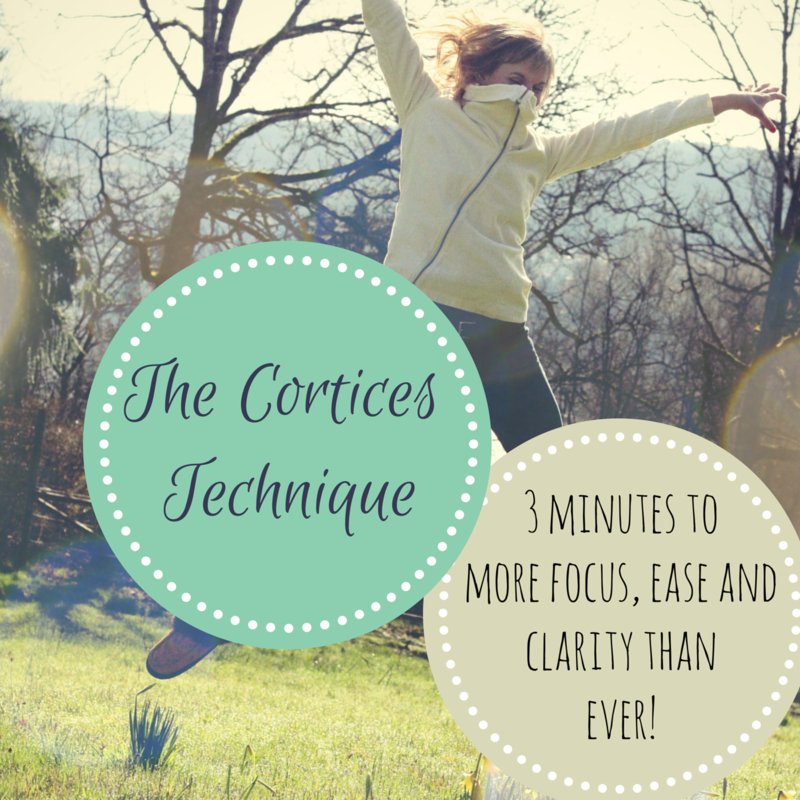 A 3-minute technique that helps create the happy brain you’ve been wanting, free of overwhelm and exhaustion and full of focus, clarity and wisdom. 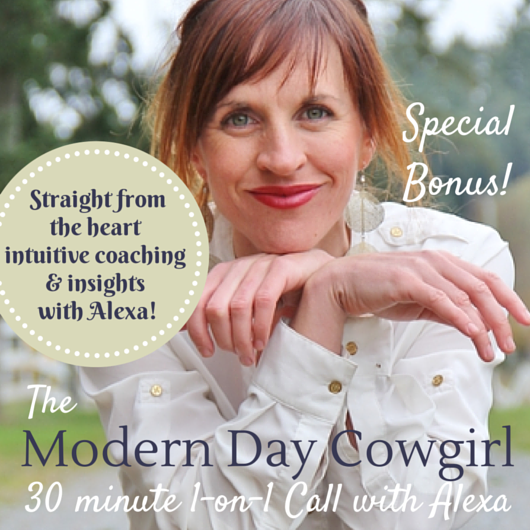 A 30 minute one-on-one call with yours truly (learn all about me here) where you get laser-focused guidance and horse inspired insight that will have you galloping off into your own personal sunset. 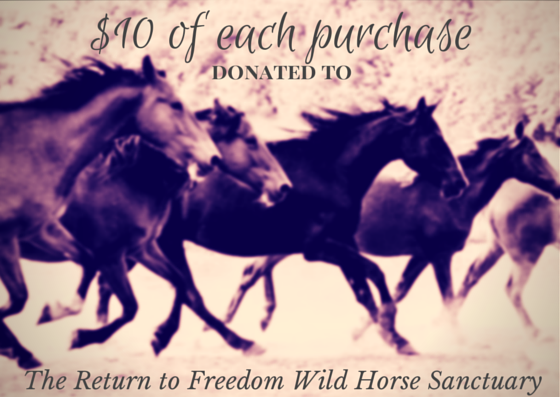 And $10 of your purchase heads towards one of my favourite organizations – the Return to Freedom Wild Horse Preservation in California. 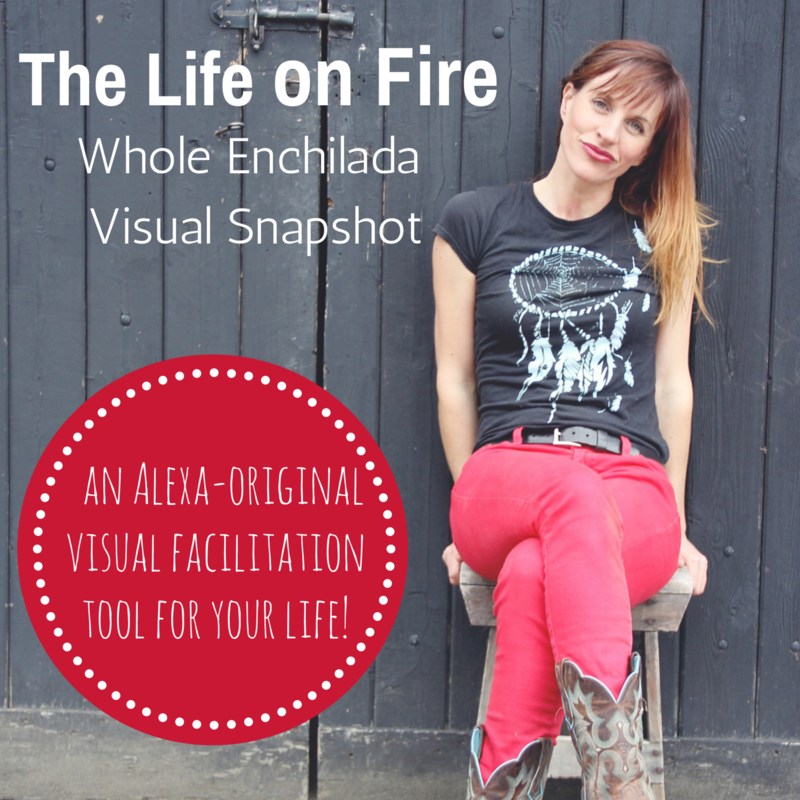 If you’re feeling the pull to horses and wondering, “Alexa, what does it mean?” I will tell you that horses “pull at us” for a reason and perhaps it’s about time you explored that reason a little more deeply. 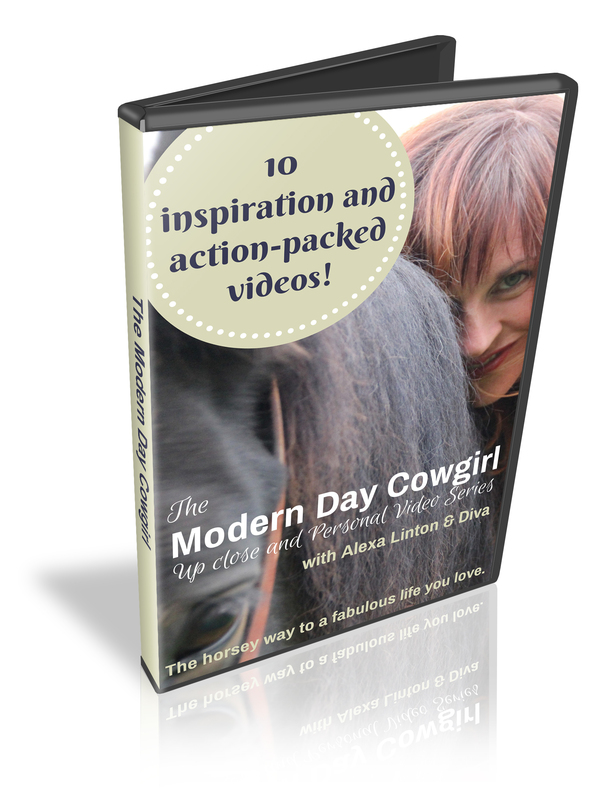 If you are needing a little or a lot of equine-inspired help figuring out how to create a fabulous life you love, then you’ve come to the right place. 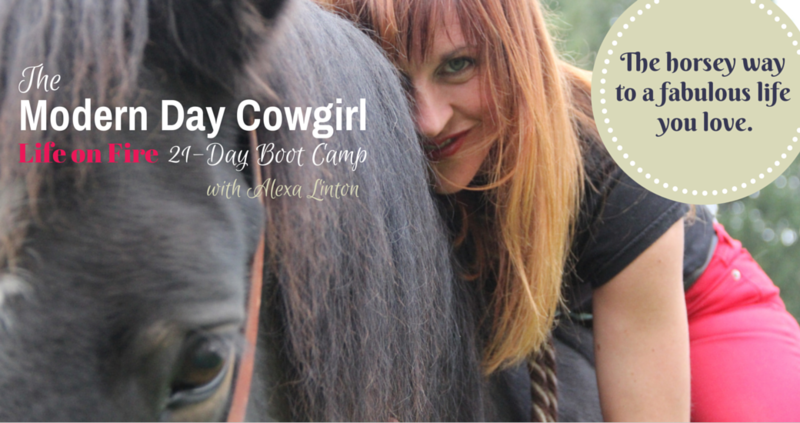 That is exactly why I created the Modern Day Cowgirl 21-day Bootcamp.